Description: Hardy perennial herb of marshy places, to 6 feet tall, aromatic, rhizome stout, pinkish; leaves to 3/4 inch wide, with a prominent midrib; spadix stout, to 4 inches long. The genus Acorus is considered to be the most primitive extant monocot. In Ayurveda, Sweet Flag is also known as VACHA. This translates from Sanskrit as "speech." This plant is more traditionally used as a brain tonic which also improves speech ability. It is used to reduce Kapha and Vatha while increasing Pitta. Calamus root has been used in various respiratory ailments. Making a decoction of the leaves and drinking it, will ease dry coughing, asthma, bronchitis, and fever. It is known as a bronchodilator, therefore circulates more oxygen to the brain & reduces toxins from the brain. An infusion treats cholic. 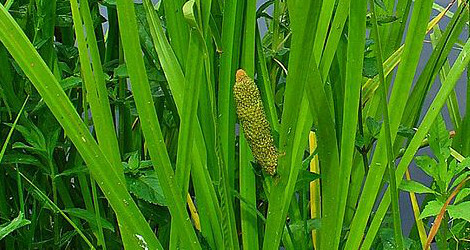 Acorus Calamus is known as a sedative, used in mixtures to aid in mental hysterics: epilepsy, anxiety, over-stimulation. 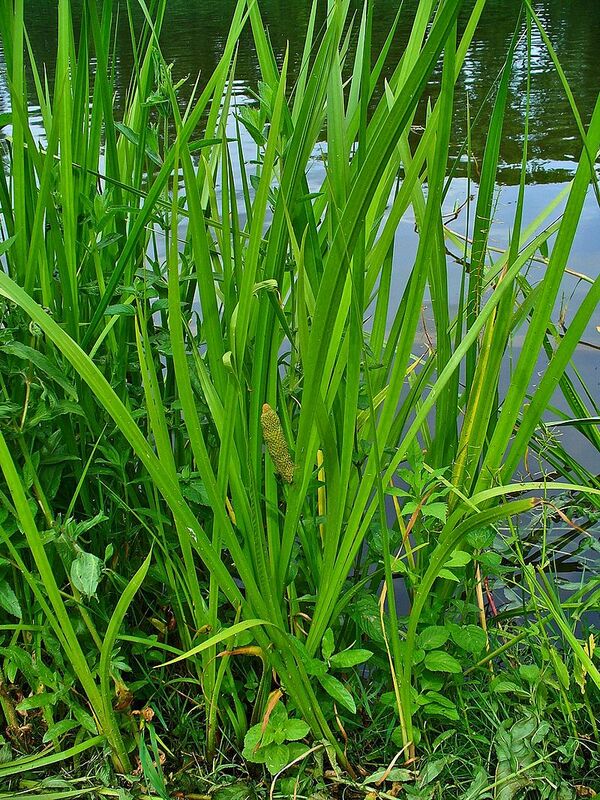 Massaging Calamus oil around the lymph nodes will stimulate drainage. Treats arthritis, sinus headaches, increases endurance and improves muscle tissue. The Plant List (2013). Version 1.1. 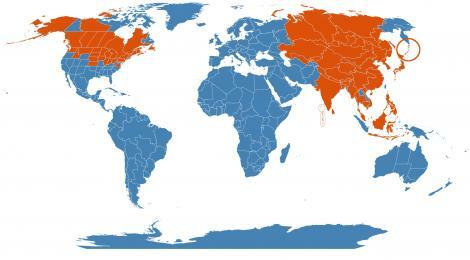 Accessed 27 March 2105. WCSP (2015). World Checklist of Selected Plant Families. Facilitated by the Royal Botanic Gardens, Kew. Accessed 27 March 2015. 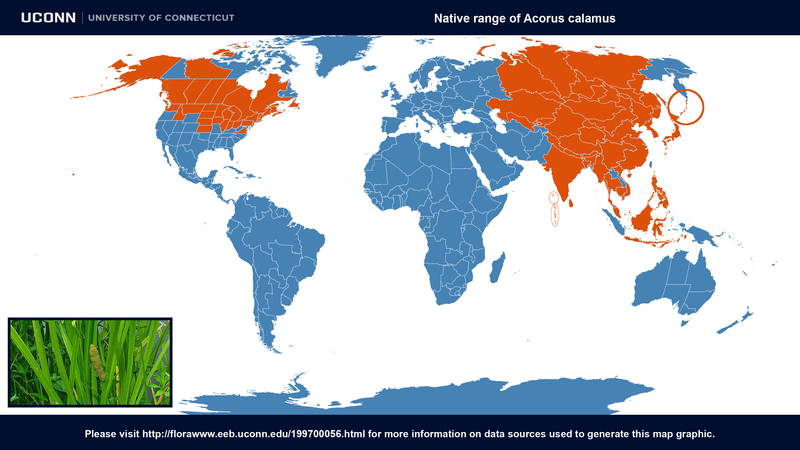 Acorus calamus at Wikipedia. Last accessed on Thursday, October 26, 2017. Image #00 (cropped) & #01 (original) by H. Zell (Own work) [GFDL or CC BY-SA 3.0], via Wikimedia Commons. Last accessed on Thursday, October 26, 2017. Deepak Chandra Phytochemicals of Acorus Calamus (Sweet flag). Journal of Medicinal Plants Studies 2017, 5(5); 277-281. Last accessed on Thursday, March 29, 2018.